F. Sessions Cole, MD, discusses patient information at a shift change with attending physician Amanda Emke, MD, at St. Louis Children’s Hospital. The two have helped teach residents a new program that’s been found to improve communication among health-care providers and reduce injuries due to medical errors. The research, reported Nov. 6 in The New England Journal of Medicine, involved St. Louis Children’s Hospital and eight other academic medical centers in the U.S. and Canada. The study was led by researchers from Boston Children’s Hospital and Harvard Medical School and included physicians at Washington University School of Medicine in St. Louis. Medical errors such as delays in diagnosis, preventable surgical complications and medication overdoses are a leading cause of death and injury in the United States. An estimated 80 percent of the most serious medical errors can be linked to poor communication between clinicians, particularly during shift changes. For example, a medical error can occur if information about a critical diagnostic test is not relayed correctly from one medical provider to the next at shift change. The study focused on pediatric residents — newly minted doctors training to specialize in pediatrics or a specialty in that field. It found that an intensive three-hour training program focused on improving oral and written communications greatly increased patient safety without significantly burdening existing workflow. The training program included role playing, computer training and use of a mnemonic to structure shift change communication and electronic health record information. The program is called I-PASS, and the mnemonic is intended to help health-care personnel recall steps for properly communicating important patient information during a shift change. I-PASS stands for illness severity, patient summary, action list, situational awareness and contingency planning, and synthesis by receiver. 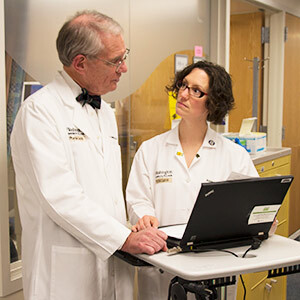 “This study suggests that a standardized process along with education and information technology support can reduce medical errors,” said study co-author F. Sessions Cole, MD, vice chair of the Department of Pediatrics at Washington University and chief medical officer of St. Louis Children’s Hospital. At each participating hospital, patient handoffs by residents were monitored and assessed for a six-month pre-intervention period. During the six-month intervention phase, residents were trained on I-PASS handoff processes and required to use the system going forward. An additional six months of monitoring and assessment followed the intervention. Across the participating centers, preventable injuries due to medical errors decreased by 30 percent — from 4.7 to 3.3 errors per 100 admissions. The research team’s data covered a total of 10,740 patient admissions. The multicenter team led by senior author Christopher Landrigan, MD, and lead author Amy Starmer, MD, both of Boston Children’s and Harvard Medical School, designed I-PASS with the goal of improving patient safety and reducing or eliminating the most common source of medical errors through improved provider-to-provider communication. The study determined that using the I-PASS mnemonic during shift changes did not add time to patient handoffs or decrease time spent at patient bedsides or on other tasks. The researchers noted significant improvements in residents’ verbal and written communications at every center and a significant increase in residents’ satisfaction with the quality of their patient handoffs after I-PASS implementation, according to a post-study survey. The seven other academic medical centers that participated in the study are Benioff Children’s Hospital and University of California, San Francisco; Cincinnati Children’s Hospital Medical Center and University of Cincinnati; Doernbecher Children’s Hospital and Oregon Health Sciences University; The Hospital for Sick Children, and University of Toronto; Lucile Packard Children’s Hospital and Stanford University; Primary Children’s Hospital and University of Utah; St. Christopher’s Hospital for Children and Drexel University; and Walter Reed National Military Medical Center and Uniformed Services University of the Health Sciences. This study was funded by the U.S. Department of Health and Human Services, grant number 1R18AE000029-01; the Agency for Healthcare Research and Quality/Oregon Comparative Effectiveness Research K12 Program, grant number K12HS019456-01; the Medical Research Foundation of Oregon; Physician Services Incorporated Foundation; and Pfizer. Starmer AJ, Spector ND, Srivastava R, West DC, Rosenbluth G, Allen AD, Noble EL, Tse LL, Dalal AK, Keohane CA, Lipsitz SR, Rothschild JM, Wien MF, Yoon CS, Zigmont KR, Wilson KM, O’Toole JK, Solan LG, Aylor M, Bismilla Z, Coffey M, Mahant S, Blankenburg RL, Destino LA, Everhart JL, Patel SJ, Bale JF, Spackman JB, Stevenson AT, Calaman S, Cole FS, Balmer DF, Hepps JH, Lopreiato JO, Yu CE, Sectish TC, Landrigan CP. Changes in Medical Errors after Implementation of a Handoff Program. The New England Journal of Medicine, Nov. 6, 2014.